Changing academia has been much more difficult than changing the media. 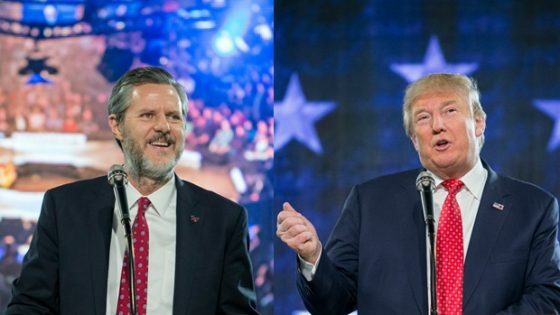 However, there is hope: President Donald Trump has asked Liberty University President Jerry Falwell Jr. to head a White House task force on reforming the U.S. higher education system. Academia is not only a bastion of anti-Trump sentiment, but it has become the most important base of operations, next to the media, for attacks on conservative Americans devoted to saving their country and its traditional religious values. It is anticipated that Falwell’s task force will recommend the increasing use of online courses in order to drive down the costs of higher education for students nationwide. This is a proven method to accomplish what we call “Defunding the Marxist Madrassas.” In this way, the academic bastions of Marxist thought that inhibit real diversity in thinking, and even prevent conservatives from coming on campus, can be reduced in their influence and even dismantled. Dr. Tina Trent, who writes about problems in academia, says that non-ideological and technologically-oriented students are increasingly being drawn to online learning opportunities that prepare them for the real world. Most students would rather not end up like Otto Warmbier, the University of Virginia economics major, who was so uneducated and misguided that he went on a “Young Pioneers” tour of North Korea and is now a captive of the regime. He was sentenced to 15 years of hard labor for stealing a communist banner to bring home. As the largest Christian university in the world, Liberty has been offering “distance” or online education since 1985. Online education is a proven way to avoid the effects (and costs) of brick and mortar universities which operate as Marxist Madrassas for America’s young people and brainwash them in totalitarian and bizarre sexual ideologies. So-called distance learning promises marketable skills and jobs in the real economy without supervision from expensive “diversity” officers and exposure to the latest fad in sexual politics. According to its website, Liberty offers more than 250 programs of study and the lowest tuition rates among top online universities. The university has a “Helms School of Government,” named after the former conservative Senator Jesse Helms (R-NC), which offers a conservative Christian approach to world problems and international affairs. One course examines communist disinformation operations. With a residential campus in Lynchburg, Virginia, Liberty University also has 65,000 students online. That gives it the second largest enrollment in online education courses of any non-profit university in the world. The Chronicle of Higher Education, a leading source of news for academia, was forced to admit in a story that Liberty could be the model for the future of higher education. Liberty has successfully challenged the “failed power structures” known as politically correct colleges and universities. By contrast, Burlington College, once headed by the wife of Socialist Senator Bernie Sanders (I-VT), has gone bankrupt. And the national news media are finally covering the role played by Jane Sanders in the college’s demise. Accuracy in Media covered the financial questions about her involvement in the college in several stories last year, during the presidential campaign, when Senator Sanders was posturing as a friend of college students with big debts, no jobs and useless degrees. Eventually, Burlington College went out of business, thanks to debt incurred under Jane Sanders’ leadership. You may recall that after putting the college in a precarious financial situation, Jane Sanders was given a “golden parachute” worth $200,000. The college eventually went bankrupt and she is reportedly being investigated for possible bank fraud in connection with falsified loan documents that outlined a college expansion plan that was never fulfilled. It would appear the country has an overabundance of such media activists. Now, it seems, the “social change” may involve Sanders’ wife, depending on whether federal charges are lodged against her. Yet, Senator Sanders continues as if nothing is happening. Calling the controversy a Republican plot, he was the honored keynote speaker at the recent David W. Curtis Leadership Awards ceremony sponsored by the Vermont Democratic Party. The “Special Guest” was New York City Mayor Bill de Blasio, known as “Red Bill” for his pro-communist views. De Blasio and his wife, a former lesbian, went to Cuba on their honeymoon; Sanders and his wife went to the old Soviet Union.